Staying true to the Caffe D’Vita premium cappuccino taste but now in the convenient and easy to use K-Cup® form. Chino, CA – July 24, 2017 – Caffe D’Vita, a pioneer in the specialty coffee industry with over 40 years of experience has just released two cappuccino flavors in its new line of K-Cup® compatible products. They will be kicking off this new line with the two most popular flavors, Mocha and French Vanilla Cappuccino. The new Caffe D’Vita Cappuccino K-Cups® share the same range of robust flavors as the original Premium Cappuccino beverage mixes. 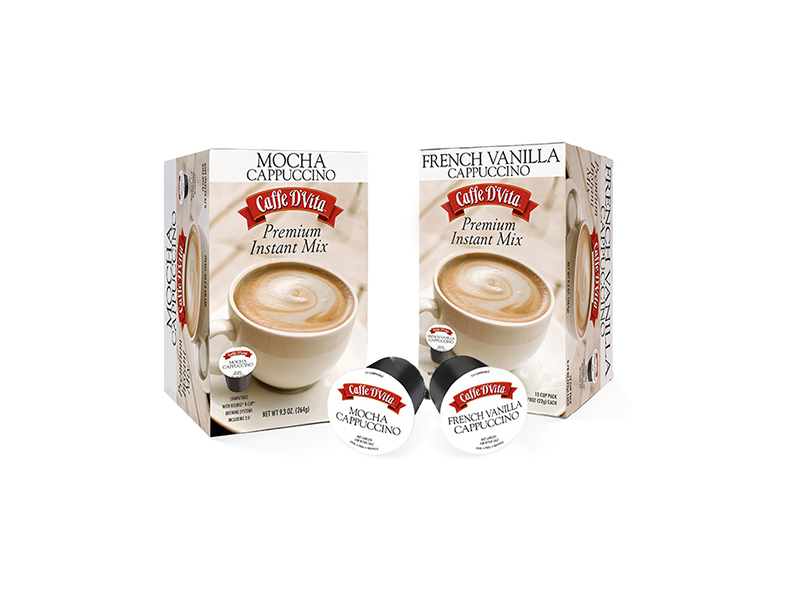 The Mocha Cappuccino uses Arabica coffee and the finest ingredients, while the French Vanilla Cappuccino is the perfect combination of vanilla and bold coffee flavors. Both are delicious whether served piping hot or poured over ice. 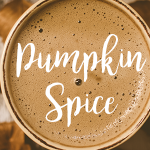 These single serve cappuccino mixes are the best full-bodied cappuccino K-Cups® on the market, and they work in all Keurig® K-Cup® brewers including the 1.0 & 2.0 versions. For best results, choose the 6-fl. oz. setting. These convenient premium instant mix K-Cups® are quick and easy-to-use without sacrificing flavor. “We are excited to offer our cappuccinos in the single cup format for all K-Cup® users. We are convinced they will meet expectations and provide a delicious and flavorful experience,” stated Bob Greene, President & CEO of Caffe D’Vita. The Mocha and French Vanilla Cappuccino K-Cups® are now available at select retailers, Amazon.com, and directly from the Caffe D’Vita website. In the early 1970’s Caffe D’Vita developed the first commercially available instant cappuccino mix at the retail level. Caffe D’Vita Cappuccino was an immediate success. Consistently beating the competition in blind taste tests Caffe D’Vita’s market proven flavors are the result of premium ingredients we blend to make every cup a rich, creamy and flavorful experience. Using the best Arabica coffees, premium creamer system and other quality ingredients we continue our tradition of making premium Caffe D’Vita Cappuccino products. Caffe D’Vita products are available in K-Cups, canisters, and envelopes. After over 40 years in business and with distribution worldwide, Caffe D’Vita continues to innovate by creating distinctive cappuccino mixes for our retail and food service customers.